I will never forget how gracious Fran Carpentier was in listening to my pitch. Okay, she said. Send us something. And so I did. "These Children Can Save Lives" was published on April 13, 1986. I was shocked... and elated. 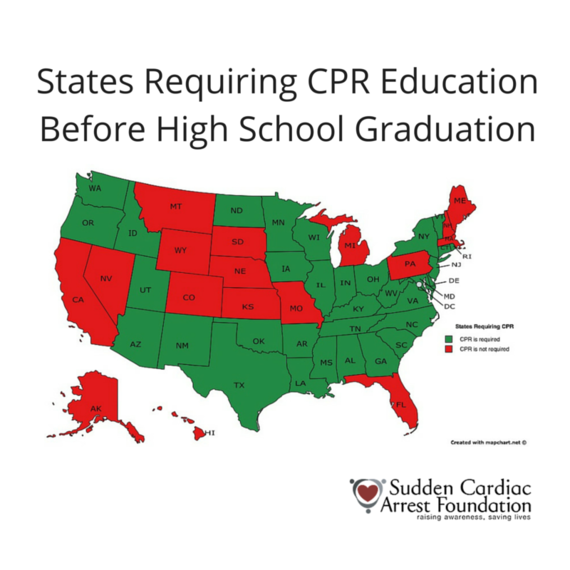 The article described several successful resuscitations by students who had learned CPR in school and stated, "Proficiency in cardiopulmonary resuscitation should be a requirement for graduation." Sudden cardiac arrest is the third leading cause of death in the U.S., affecting about 1,000 people every day in the U.S. On average, only 10 percent of victims survive. But when victims are treated quickly with CPR and defibrillators, the chances of survival increase fourfold. The Sudden Cardiac Arrest Foundation's survivor network is a testament to the fact that early bystander intervention saves lives. It's hard to imagine a more important school subject than learning how to save a life. June 1-7 is National CPR-AED Awareness Week. What better time to advocate for CPR training in schools. 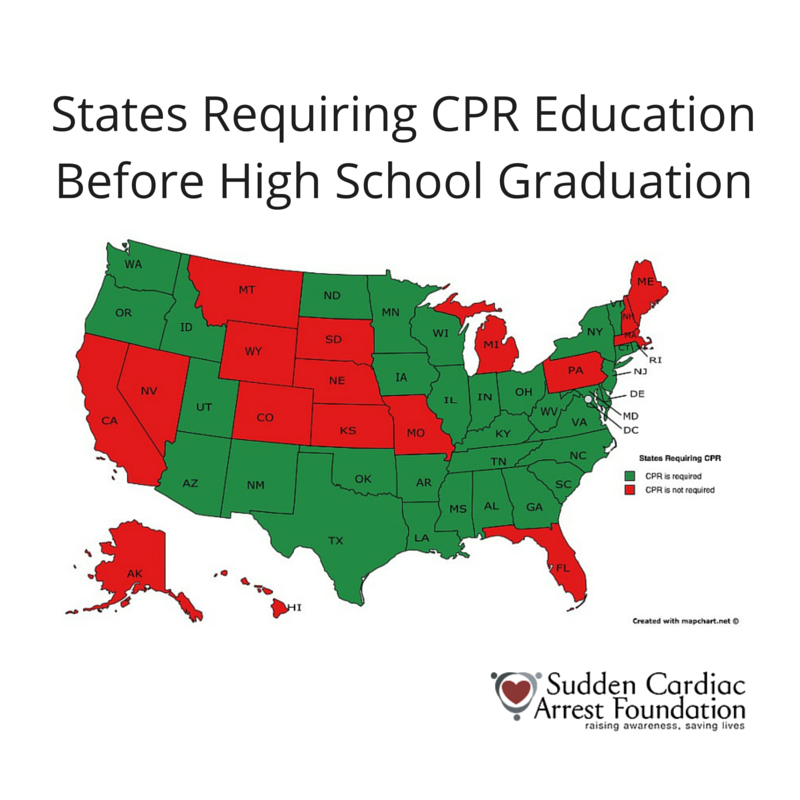 If your state does not require CPR education before graduation, it's time to demand change. Creating a new generation of lifesavers could mean the difference between life and death for thousands of future victims of sudden cardiac arrest. Let's claim a future where survival is the rule, rather than the exception. Recognize that the person is in trouble and decide to make a difference. Remember, the victim's heart has stopped beating and without treatment, he or she will die within minutes. Your actions can only help. Call 911 and ask someone to bring the nearest AED to the victim's side if one is available. Press hard and fast on the center of the chest at a rate of 100-120 times a minute. What does that look like? Imagine compressing to the tune of "Stayin' Alive" by the Bee Gees, or "Love Story" by Taylor Swift. That's it. Mouth-to-mouth is no longer required.